Many companies have excess cash or other assets on their balance sheets that must remain relatively liquid for their operations. A company could be preparing to make a large capital investment or participate in another strategic action in the near future. Whatever the reason, companies can benefit by investing their short-term or excess capital in securities. Although many alternatives exist with securities, call and put options offer a variety of opportunities for firms to realize returns while minimizing the amount of risk involved. This article introduces the hedging instrument known as put options. Many companies have excess cash or other assets on their balance sheets that must remain relatively liquid for their operations. For example, a company could be preparing to make a large capital investment or participate in another strategic action in the near future. Whatever the reason, companies can benefit by investing their short-term or excess capital in securities. Securities can also be used to hedge risks. A very popular derivative security is the put option, and in this article we offer an introduction to put options and how they work. A put option gives the holder the right to sell an underlying asset to another party at a fixed price over a specific period of time. Put options allow investors to benefit from the decreases in a particular stock's price without having to sell short the stock. The holder purchases the right to sell a stock to another person at a set price, called the strike price, for a specific period of time. If the stock price decreases at any time prior to its expiration, the holder can purchase the stock at the low market price and instantly sell it to the other party at the higher strike price. While the holder profits from decreases in the underlying stock's value, he or she is not harmed by increases in the stock's price. If the stock price rises, the investor simply does not exercise the option and lets it expire. The most the holder of a put option can lose is the amount he or she pays for the option called the option premium. The seller of a put option has a very different profit profile. The most an investor can profit from his or her position involves the option premium paid by the holder. In exchange for this payment, the seller assumes the risk of any decrease in stock price. As the graphs below illustrate, put options limit the amount of risk investors undertake. If the price of the underlying stock increases, the holder only loses the purchase amount of the option. However, if the stock price decreases below $37.50, the break-even point, the option begins to increase in value and is considered in-the-money. For the seller of a put option, the opposite is true. After the price of the stock falls below $37.50, the seller begins to lose money off his or her position. However, the profit and loss potentials for both investors are limited since the stock price can only decrease to zero. Because their design limits the potential losses of investors, put options serve a vital role in numerous hedging strategies that will be introduced in subsequent articles. Strike Price: The strike price, or exercise price, means the fixed price at which the option holder can sell the underlying asset. For instance, if an option has a strike price of $40 and the stock is currently trading at $45 a share, the option holder is $5 in-the-money. Last Sale: The amount the last call option was purchase for. Change: The amount the value of the option changed since the last trading day. Bid: The price which one can sell a call option for determined by the market. Ask: The price which one can buy a call option for determined by the market. Bid/Ask Spread: The difference between the bid price and the ask price retained by the broker of the transaction. Volume: The number of transaction that took place for the particular call option contract on the trading day. Open Interest: The amount of open positions in the market for each particular call option. Expiry: The expiry, or expiration date, means the month in which the call option must be exercised. For all calls, the option expires on the third Friday of the expiry month. Long: The buyer of an option contract. Short: The seller of an option contract. In-the-money: Options that, if exercised, would result in the value received being worth more than the payment required to exercise. In other words, they make a profit. At-the-money: An option in which the underlying value equals the exercise price. The option has no negative or positive value. Out-of-the-money: Options that, if exercised, would require the payment of more money than the value received and therefore would not be currently exercised. 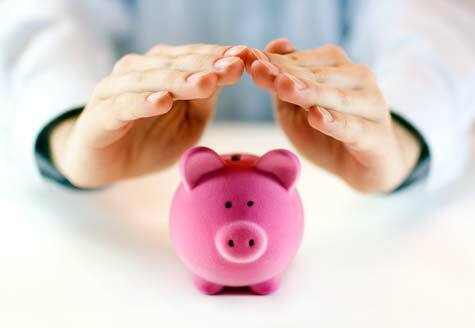 Option Premium: The amount of money the holder pays and the amount the seller receives for an option. Do you have experience using put options to hedge business risks or simply to make money? Share your experiences below.